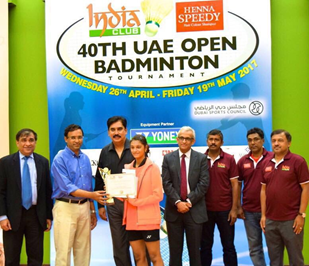 With her astounding sportsmanship and abiding charisma, this 14-year-old girl has dominated badminton by placing #1 in UAE for the age categories of U-15, U-17 and U-19 respectively. 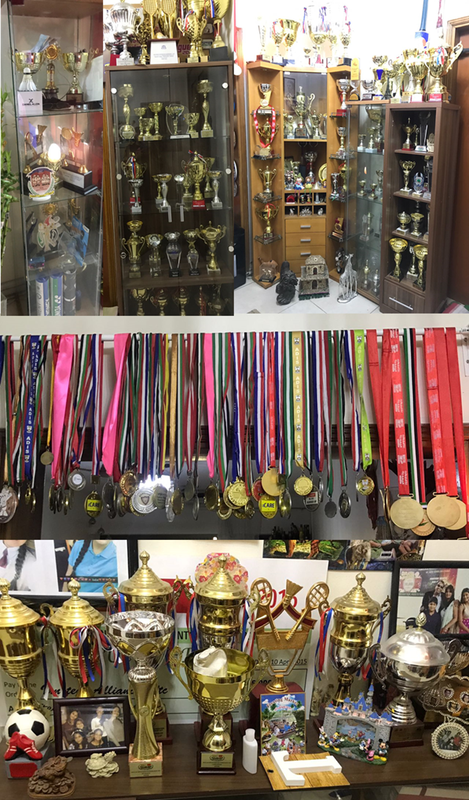 Hailing from Goa, the young athlete boasts a collection of more than 200 trophies, medals and certificates. 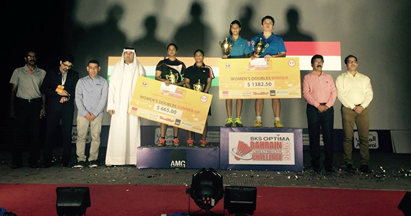 Recently, she made her way into the record books of India Club by becoming the youngest holder of the Women’s Singles Title in the 40th India Club UAE Open Badminton Tournament 2017! 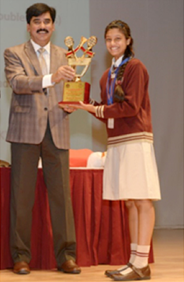 She was named ‘triple crown champion’ after she bagged the Mixed Doubles and U-15 categories. When were you first inspired to play Badminton? I took up the sport at the age of 5. My dad used to play every day and looking at the sport, even I wanted to play it. Who was your first coach? How was your first training experience when you joined formal training in this sport? My dad was my first coach. After about 1 month, I joined training. As I was a beginner, it was pretty difficult. But as I got the hang of it, it was good. Since how long have you been a part of the India Club? How many hours do you practice a day? I have been a member for 9 years presently and I practice almost 7 hours each day at the India Club, Dubai. I try my best to maintain consistency as well as quickness and swiftness in movement. What are your best and worst memories in training? Once, I did very well in my training and my coach was also very satisfied. One of my worst memories is getting a very bad sprain. I wasn’t allowed to play after that and I felt terrible. What do you believe differentiates you from your fellow competitors who have declined in their abilities and participation on the court? My coach and I sit and watch our opponents’ matches and note down their strong points and their weak points. We decide upon how to take advantage of their weak points and win the clash. How do you prepare for a doubles match? Well, we train together and practice different ways of playing which will help us coordinate well. Do you feel that you have received ample opportunities to represent the school in national and international tournaments? Yes, I have received many opportunities to represent the school in CBSE Nationals, Clusters and various Interhouse Tournaments. What is your biggest accomplishment or breakthrough in Badminton? Do share your experience on what led to it. The Bahrain GCC Senior International Challenge 2016 was one of my biggest achievements as of now which made me feel I should be more focused and dedicated. I got into this huge event by participating in the GCC Junior Championship. As I won the U-15, U-17 and U-19 categories, the committee asked me whether I was interested in representing Bahrain on an international level. I did and I was successful in receiving the first place for Women’s Doubles. How would you utilize the scholarships you received from the various tournaments? I would use it to go back for training in India. I would also use it for travel expenditures for my various tournaments and my higher education. My biggest challenge is defeating tough opponents and I believe that continuous practice is required to manage it. How would you describe the relationship between a coach and a player? A coach should be able to understand the player and help him whenever he faces a problem. My coach analyzes my strengths and weaknesses and helps me work on it. I have made Saina Nehwal my idol because she is very dedicated towards the sport and she is always calm and cool. She is very persistent and that’s why I draw inspiration from her. How did you receive the opportunity to meet your role model, Saina Nehwal? How was the experience? I did an advertisement for VisionSportUAE. It was a guide to the Hamdan Sports Complex in Dubai where the Dubai Superseries Finals was being held. 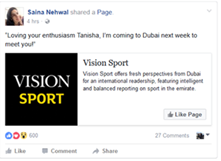 Saina Nehwal, my role model, happened to see it and she sent me a message on Facebook saying that she was coming to meet me personally. We were given a VIP Tour of the Bollywood Parks in Dubai and I got a whole day with her. It was an amazing experience as I listened to many tips from her that would definitely help me improve my skills. 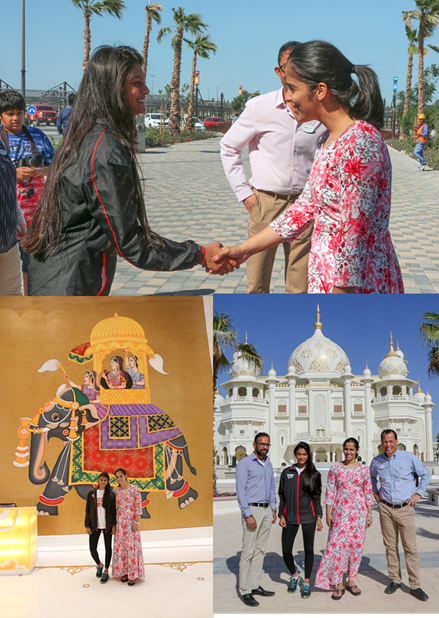 Tanisha was also very lucky to meet and spend a whole day at the Bollywood Theme Parks, Dubai with former World #1- India’s Saina Nehwal. Tanisha was also very lucky to spend an entire day with former World #1- Saina Nehwal! How strong is the support from your friends, family and teachers? Their support is extremely important to me. No one has ever given up on me and without their support, I wouldn’t have been here or be the person I am today. 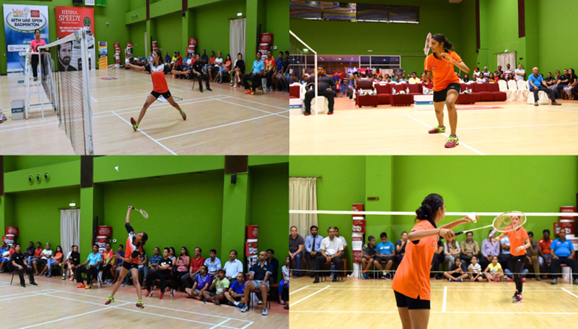 What is your advice to the upcoming badminton players? Keep working hard. Never give up on whatever you have chosen for yourself. What would be your ultimate achievement? What are you doing presently to move towards this target? My biggest dream is to become the World’s №1 and become an Olympic Gold Medalist. For this, I need to continue playing and practicing. What are some of your upcoming tournaments? What are your expectations for these events? The Goa State Championship is my next tournament to be held on June 24th. I am expecting tougher opponents, but a good win for myself. On behalf of The Indian High School, the Lighthouse team wishes Tanisha Crasto all the best for her future endeavors and we hope to see her winning more accolades at the international level! Geethika Radhakrishnan is a Junior Reporter for the Lighthouse, currently studying in Grade 9 of the Indian High School.